The garden is such a wonderland of surprises at the moment. There are tomatoes hiding deep in bushes along with pumpkins that were self sown and have fruit forming. The corn is doing well given it was sown early and then planted out just as we copped another few weeks of cold, wet weather. With any luck I will have managed to get three crops in this season, all staggered, providing we get the usual decent autumn weather that we usually get. 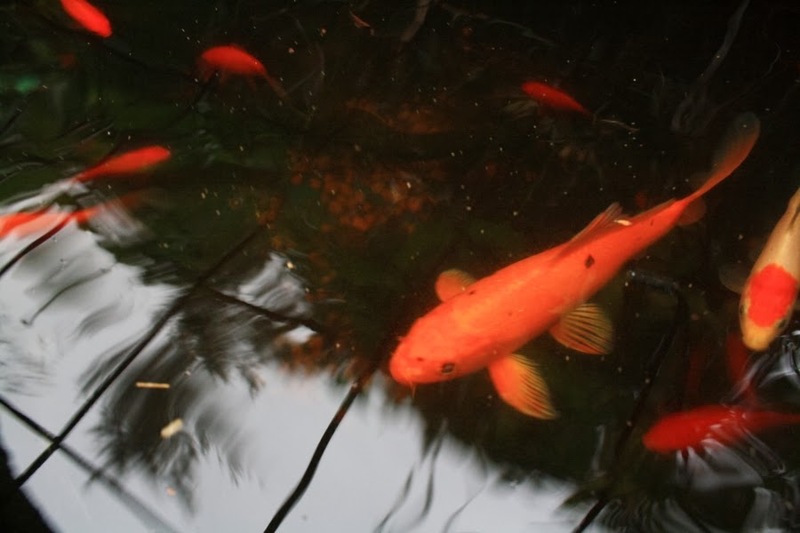 With the recent feeding up of snails, the Koi and goldfish have put on some good growth and are looking super healthy. 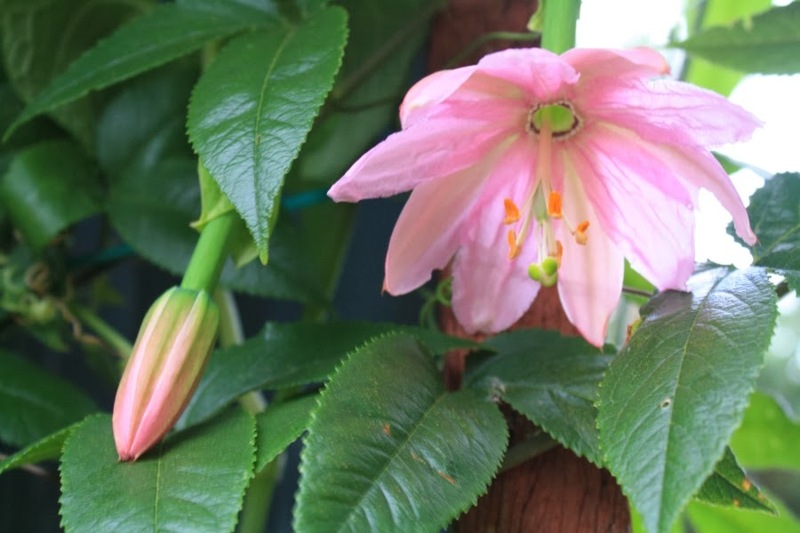 After the removal of our previous passionfruit we are eagerly awaiting the arrival of the Banana Passionfruit. I have however, made a huge job for myself. I have been going through my seed collection and having a good cull of seeds. There are many that have been saved over the years that I do not have any records for and so it is a bit hit and miss with what will grow from them. Given that I have limited space in the garden I have put some seed aside to use for green manure. Others I am sowing out into pots to see what really germinates. If nothing comes of them, so be it. Otherwise I will plant our strong seedlings in the back garden bed when that is ready to utilise – at the moment I am waiting for some plants to finish setting seed, then I’ll put in a new crop. Other seeds I have grown from as little as five seeds and am gradually building up my numbers so that when we move there will be a good quantity of quality seed to sow a decent few rows of particular vegetables. For example I am building up numbers of bush beans and climbing beans, peas and zucchini. I have a small crop of popping corn on the go as a bit of a project for my son and to hopefully keep us in popcorn for another year or two. 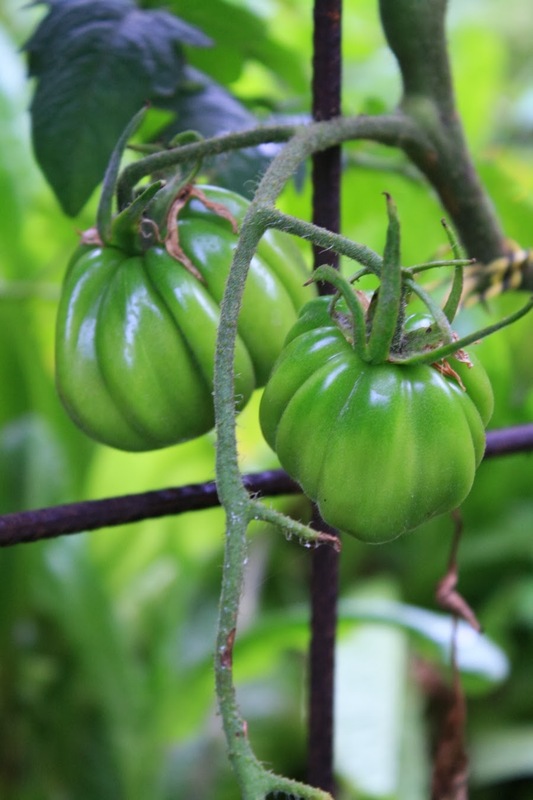 In previous years I have grown several types of tomatoes along with several that have self sown in the garden from our composting – either from the shops or the Farmers’ Market. 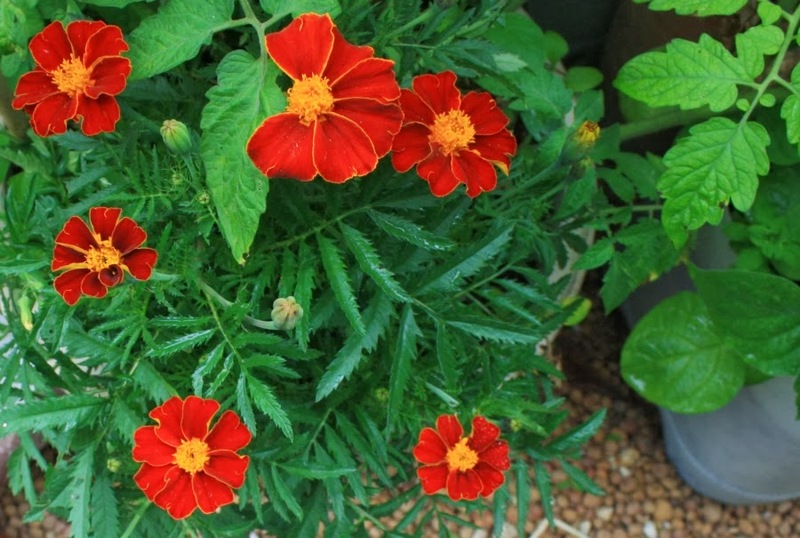 This has given me a good variety that seem to do well in our location and climate. This year I also have a few heirloom varieties such as Periforme, so I am trialling these to see how they go. 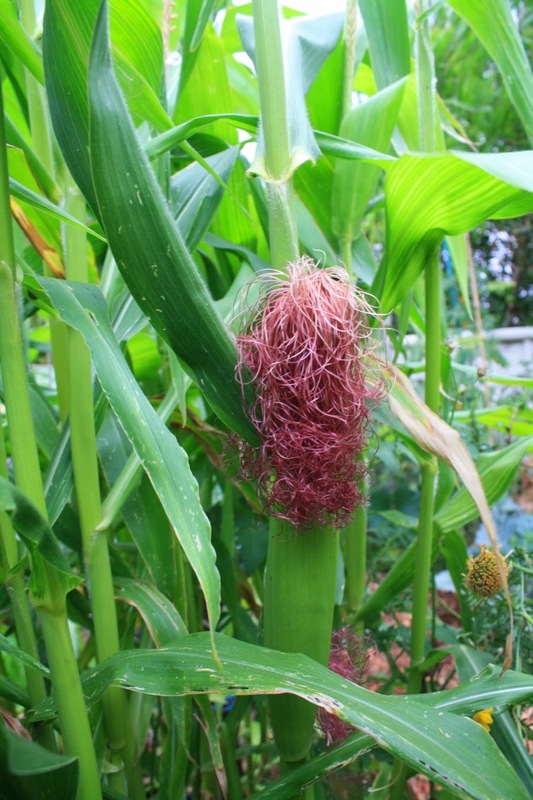 Red Aztec Corn with its wig!